Springville Utah Real Estate for Sale! Springville Utah Real Estate for Sale; Search Real Estate for Sale in Springville Utah. Our search offers the best online, live search engine in Utah County. The search has listings of all Springville Homes, condos, and townhomes for sale. When you subscribe to our Buyer's Club you will receive daily emails of every new listing and price change within your search criteria. 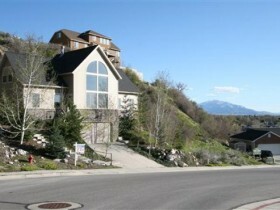 You will have free unlimited access to every home listed for sale in Utah County. Remarks: Wonderful custom built home, upgrades throughout must see to appreciate not a normal track home. separate office, outside entry,hardwood floors,low maintenance landscape, valley views. Home a must see.